This book is an unusual format for a work of fiction … and at the same time, it’s not quite fiction. The Birthday Boys by Beryl Bainbridge is a historical fiction account of the ill-fated Robert Falcon Scott-led trip to Antarctica. It’s a relatively quick and easy read, and even if the reader doesn’t know the outcome before beginning the book, it shouldn’t take long for the outcome to be anticipated. What is slightly unusual about this book is that it is written in five chapters and each chapter is a monologue narrative from one of the members of the expedition. Petty Office Edgar “Taff” Evans, Dr. Edward “Uncle Bill” Wilson, and Captain Robert Falcon “Con” Scott each detail what they know of the preparations and fund-raising for the epic adventure as well as stopovers on their journey. They set the reader up by describing the conditions that they face and how they worsen with the conditions in Antarctica. Wilson, as the doctor rightfully would, expresses concern for the crew’s well-being and he believes he sees an angel of death appearing before the ship as a warning omen. And as Scott sets up their base camp, they experience mechanical failure and animals die in the elements. And if matters could be made worse, it would be that a competing expedition, led by Roald Amundsen is already ahead of them. The last two chapters are told by Lt. Henry Robertson “Birdie” Bowers, and Capt. Lawrence Edward “Titus” Oates. From the beauty of the southern auroras to the slaughter of penguins for their fat to a blizzard that strikes, threatening every single life, Bowers’ and Oates’ tell riveting tales of the struggle of man against the harshest of nature and the ability of man to dig deep and accomplish something for himself and for his fellow man, when most necessary. It is hard to remember, sometimes, that this is fiction. Bainbridge has written this as a series of essays/journal posts from the members of the expedition and she has done it well so that we believe it comes from each man. But because of the nature of this story, it doesn’t quite have the momentum and build that you would get in a more typical fiction narrative. It works okay for this story … this story that we already know the outcome before going in to it. Looking for a good book? 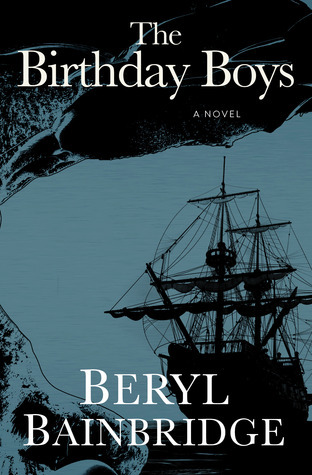 The Birthday Boys by Beryl Bainbridge is a short, historical fiction account of the Scott’s expedition to the South Pole and shares the adventure from the point of view of different members of the party.